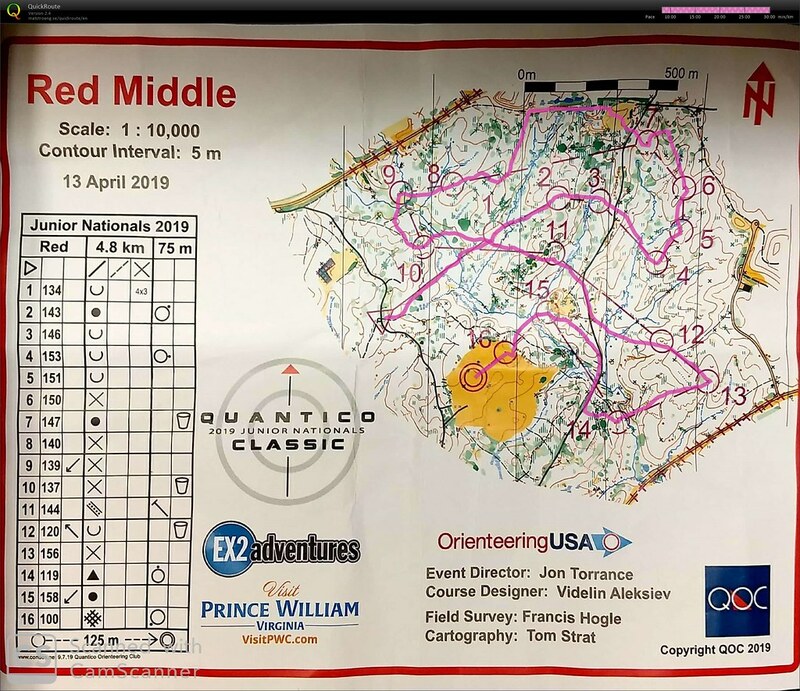 Quantico Classic Day 1 -- Middle / Red at Beaver Dam Run. I signed up for F-21+ / Red for this weekend and I planned to mostly walk -- I wanted to find lots of controls, cleanly, not necessarily "race". #1 through #6 -- not bad! Inefficient, curvy route to #10, but the rest went according to plan. 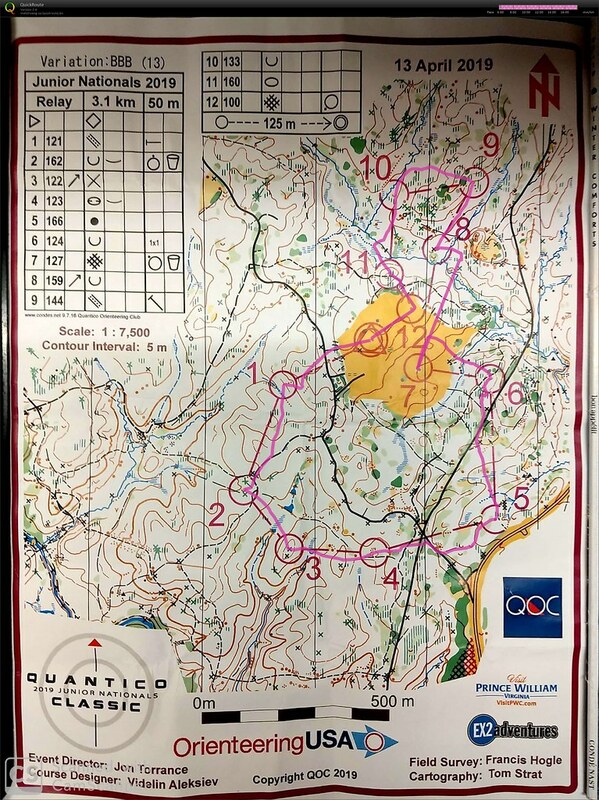 Quantico Classic Day 1 -- Relay / Leg #2 at Beaver Dam Run. Veered too far to the right of #8. Inefficient to #10. But -- very fun overall! LoCO FIT workout at the rec center. - Ran one lap around the arboretum to warm up. - One-minute hill sprints x 10. - Walked back around the arboretum to cool down. - Ran about a half mile to warm up. - Three-mile tempo run. Goal was to maintain a consistent 1/2-marathon to 10K pace. 9:11, 8:57, 8:48. - I did another loop after a short rest -- 9:11. - Walked & ran back to the trailhead to cool down. Sverre set up a free training course today at the Bear Creek Greenbelt in Lakewood. It was pretty easy (Orange-ish), but I still managed to make some dumb mistakes -- mainly over-running things b/c of the 1:4000 scale, but also heading back towards the start for the map exchange, without realizing I could go directly from #9 to #10. I was feeling kinda sore from yesterday's race, so I mostly ran at a very slow pace (or walked). Another day with great weather -- sunny and 60s.